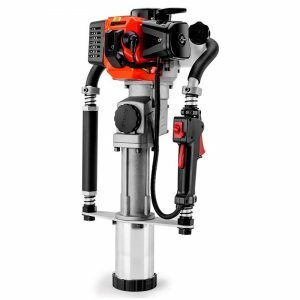 The Baumr-AG HP240 Petrol Post Driver will make light work of tough jobs. 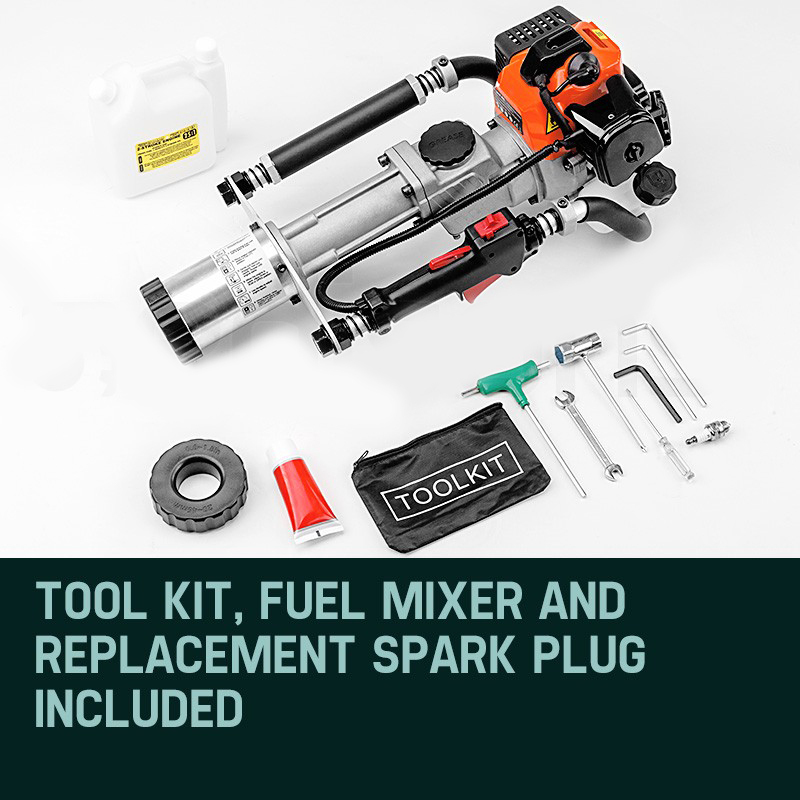 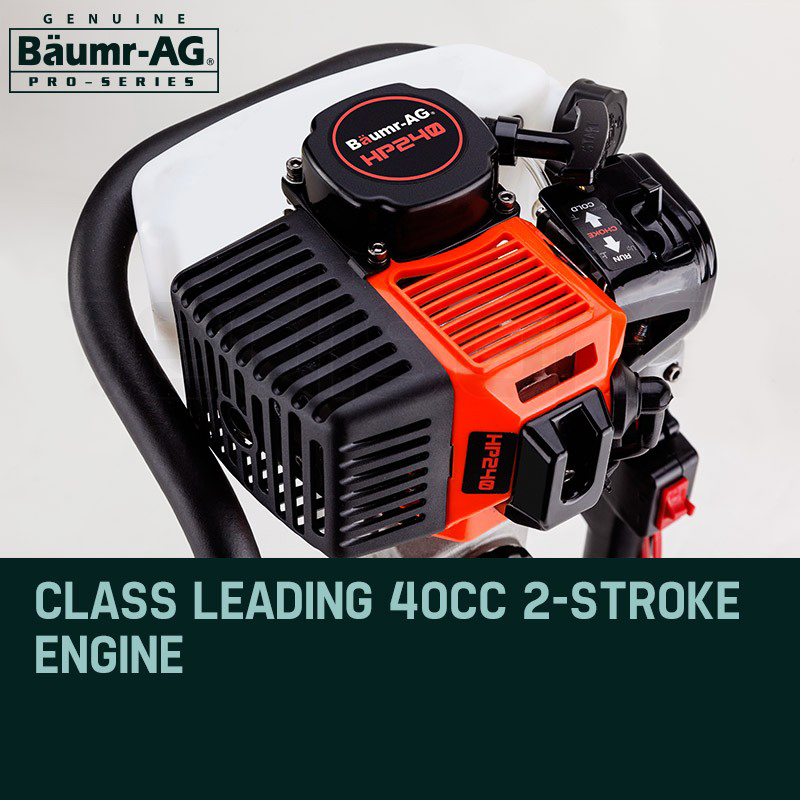 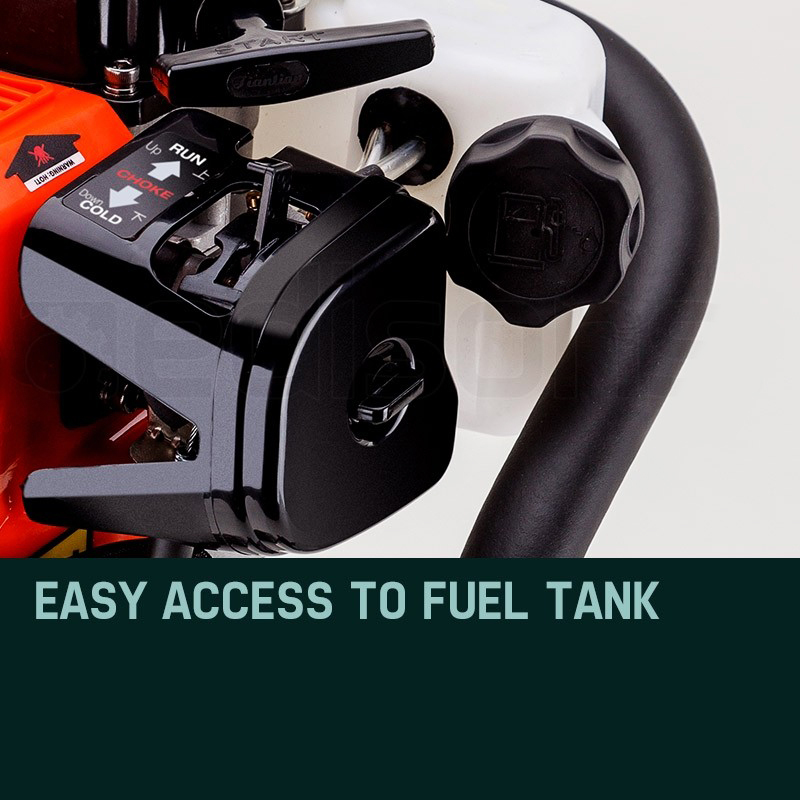 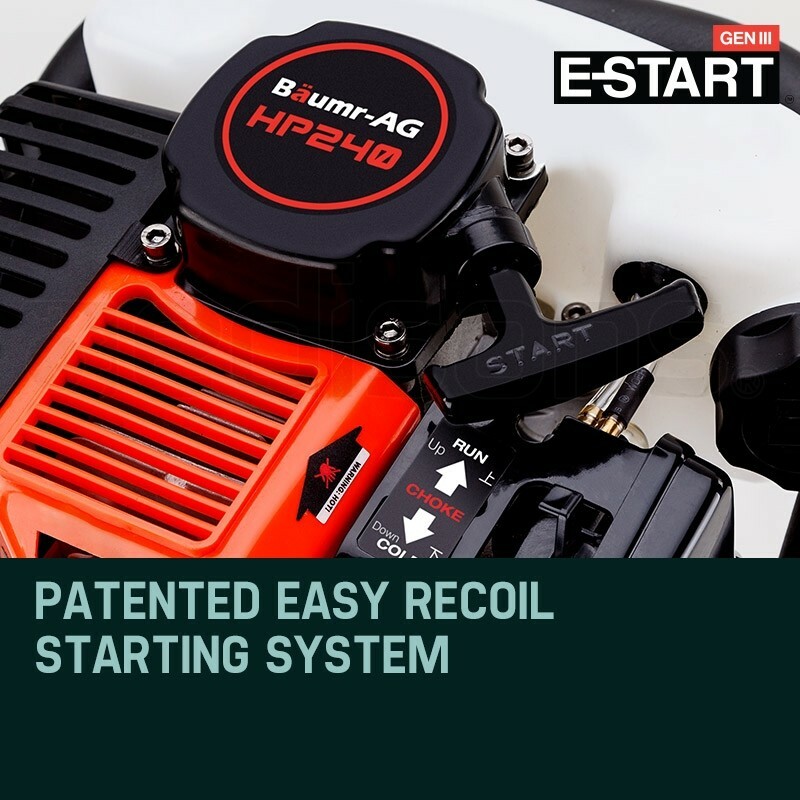 Powered by the class leading 2-stroke 40cc petrol engine, it’s designed to knock stakes, pegs or posts up to 75mm in diameter firmly into the ground. 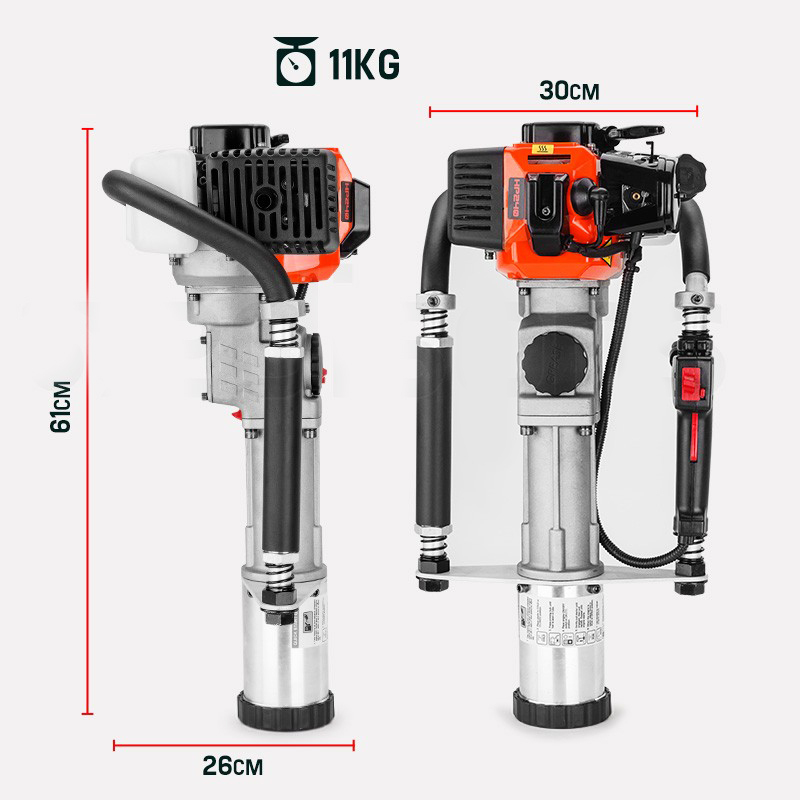 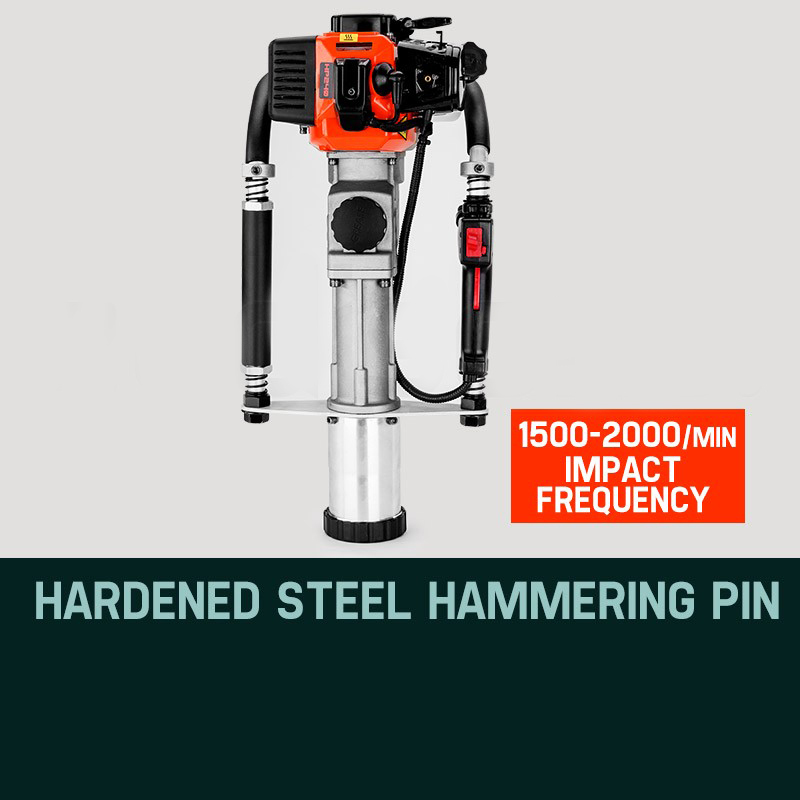 Featuring a hardened hammering pin with an impact frequency of up to 2000 BPM the HP240 will drive posts into the ground in seconds. 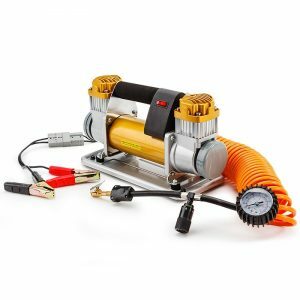 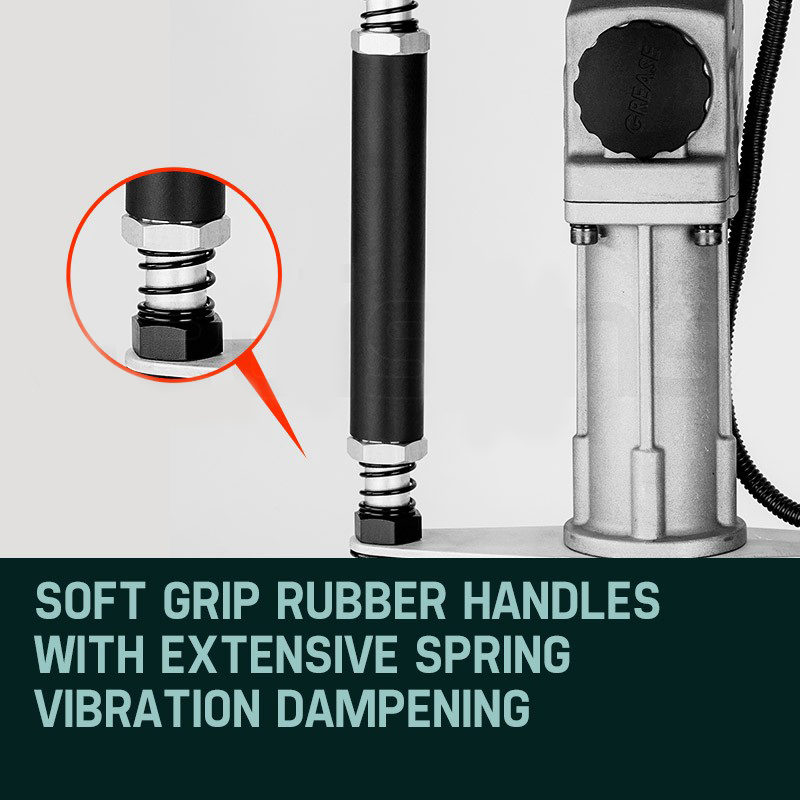 Equipped with twin handles ergonomically designed with soft rubber grips and vibration absorbing springs to minimize fatigue. 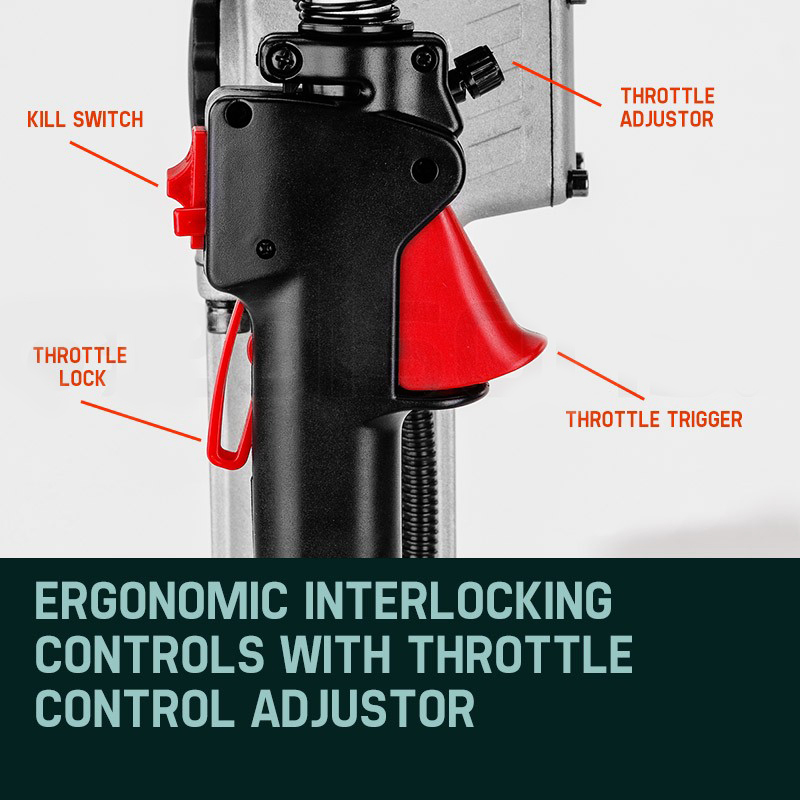 Interlocking controls with throttle lock, kill switch, throttle trigger and throttle adjuster, so everything is at your fingertips. 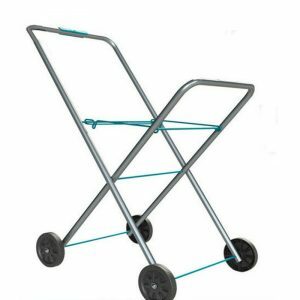 Lightweight design makes it easy to maneuver weighing in at just 11kg. 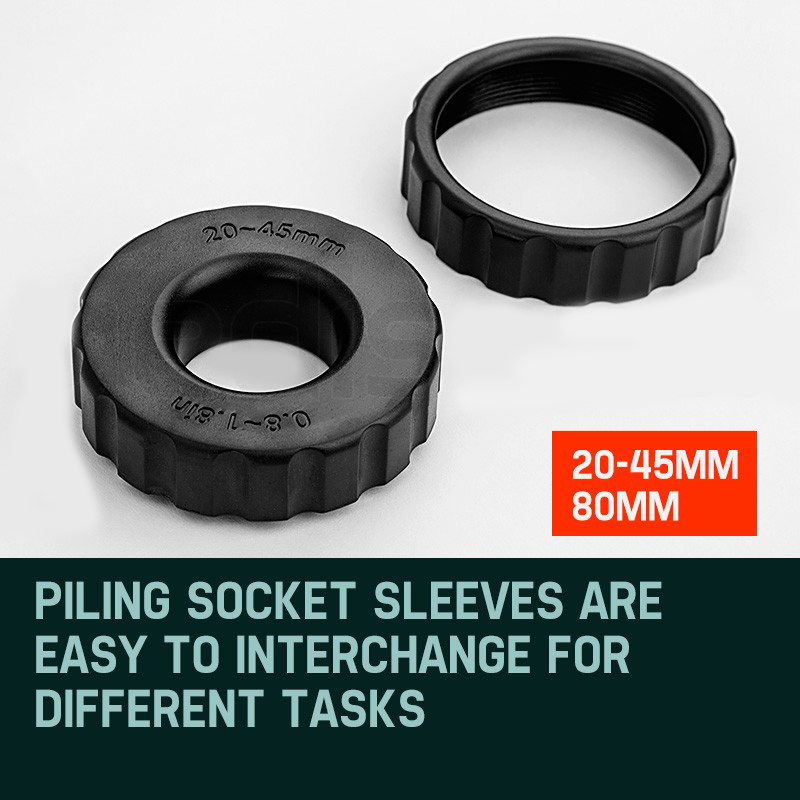 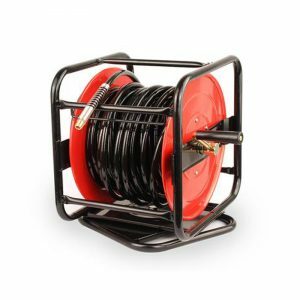 Two piling socket sleeves are included, 20-45mm suitable for star pickets and 80mm suitable for pipes, stakes and round posts. 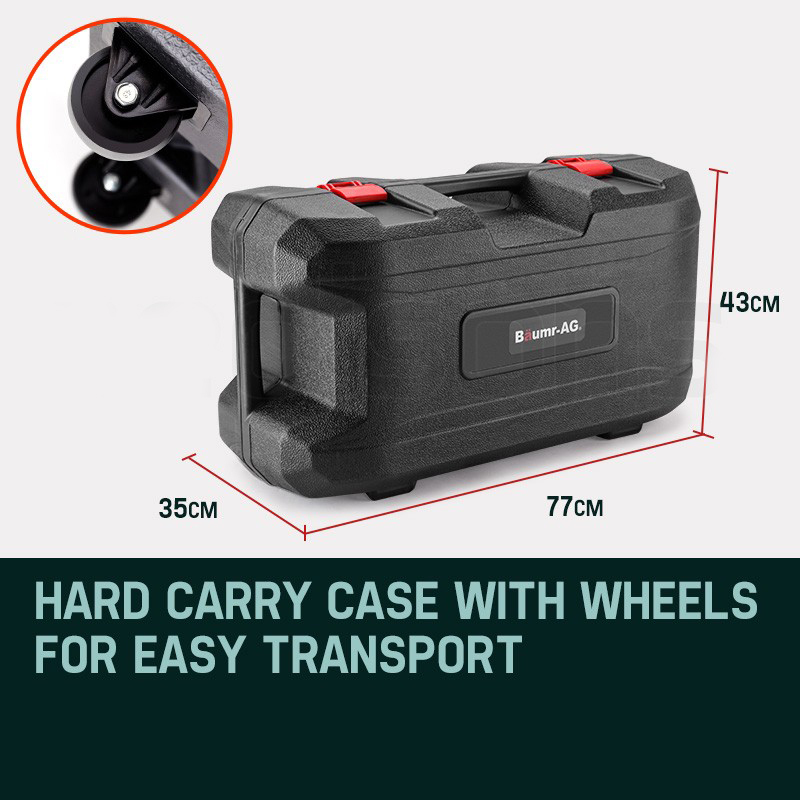 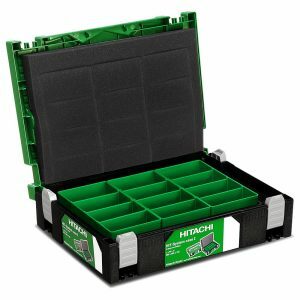 Store it all in the hard carry case which features wheels for easy transport.